This is the first in a series which will introduce and describe the various dive services and sites for worldwide liveaboard dive safaris. We’ll start in this post with the Philippines, specifically Malapascua and the Visayas. Click on the Dive the World Banner at the bottom or in the right sidebar for reservations and more information at Dive the World. 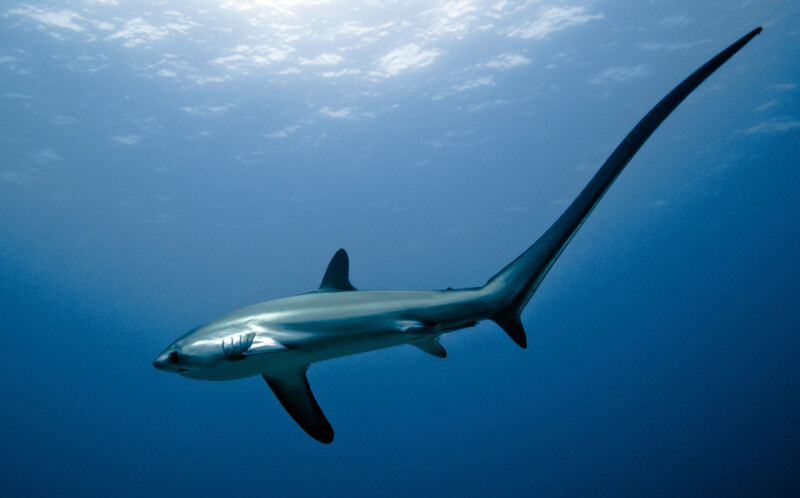 Malapascua has become world famous in the last 25 years due to the very high probability of seeing thresher sharks there in relatively shallow water. Years ago we thought it was great to go to Tingo Point off Olango Island (off Mactan) where we had a chance of seeing them in 45-60 meters, if we were lucky. Now there is Monad Shoal near Malapascua where you can plan on diving within 5-10 meters of them at depths of 20-27 meters. Kimud Shoal is also nearby where hammerheads are often spotted. Other highlight areas are Chocolate and Gato Islands. There are some fascinating sites with devil and eagle rays, whitetip reef sharks, turtles and rich hard and soft coral areas that host sea horses, frogfish and other great smaller critters. In addition you can visit awesome cave and wreck sites, including the Tapilon Wreck and the MV Dona Marilyn, where 389 people died in the 1988 tragedy. There are great walls to 30 meters with a very rich coral reef at every dive site around the island. From December to April hammerheads and whitetips are possible. Frequently there are strong currents which often bring the big schools of barracudas and jacks. A full range of corals and sponges abound and the smaller critters including ghost pipefish, seahorses, crabs, anemones and nudibranches are the delight of photographers. Visibility is usually great, from 15-30 meters. Balicasag is a sort of continuation and perhaps moves up to a little higher level from Cabilao. There are the large schools of jacks and barracuda, as well as mackerel along with turtles, white and blacktip reef sharks and mantas for the diver or photographer that likes the wide angle. At the macro level are ghost pipefish, pygmy and thorny seahorses, nudibranches and abundant hard and soft corals with a huge variety of colorful reef fishes. As you dive your way around this small island every section has its strengths and unique characteristics including intriguing walls and a “black forest” of black corals. There are several diverse great divesites in the Moalboal area with the most spectacular being Pescador Island. It is becoming redundant here to describe another fabulous site for wall diving with an extraordinarily rich reef life. Frogfish, stonefish, barracudas and turtles are common with the chance of sighting threshers, as well. The sardine swarms are also world famous here. This is another great small island located just off Dumaguete that is also a marine sanctuary. It has the usual rich coral reef and diverse fish life in the same vein as the other great locations in the Philippines. Some wildlife of note include sail fin gobies, radial file fish, schooling fish, bumphead wrasse and the possibility of large pelagics. It is most famous for the large number of turtles in shallow water that are willing for divers and snorkelers to join them for a swim. I’ve not discussed a number of wonderful divesites here including those in the Mactan/Olango area that I personally dove daily for more than 4 years. Also, well worth visiting are Sumilon Island, Oslob, Dauin, Siquijor and the many sites around Panglao Island. These are all available within the itinerary of at least one of the three great liveaboard vessels doing the Philippines dive safari. If you would like more details or to make a reservation, click on one of the Dive the World banners located at the bottom of this post or in the right sidebar. Then for this safari, go to Liveaboards / Philippines. Thanks a lot for all this information and the videos on diving in the Philippines. You know I am a Filipino American with relatives back in the Visayas and I never realized the diving was so beautiful and rich there. I am a PADI Advanced Open Water Diver and have done all my diving in Florida, the Bahamas and Mexico and most of what I saw doesn’t compare with your videos. Next year when I go back to Cebu for a visit I will look into going for a few dives. 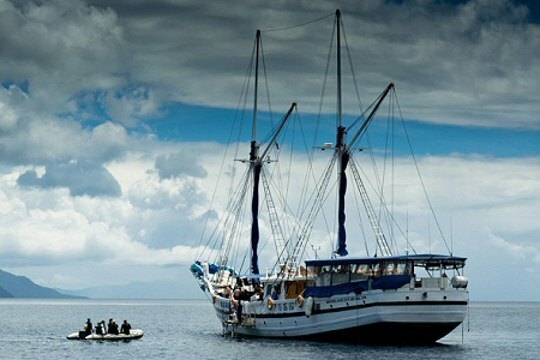 Hey, maybe I’ll contact you again and book a liveaboard. I am glad you appreciate the diving presented in the videos. I personally have dove 90% of those sites and can tell you that what is in the videos is an authentic representation. The diving in the Visayas is great. 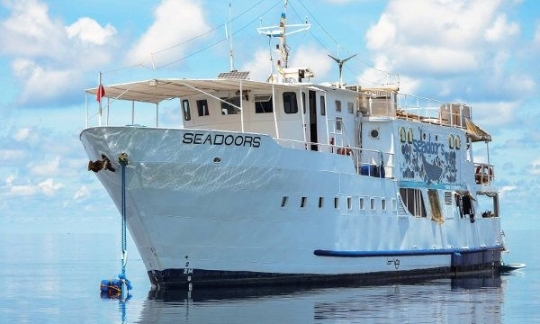 It would be fantastic if you book a liveaboard, as that’s a very effective way to go to many different locations in comfort and with the camaraderie of the other divers. 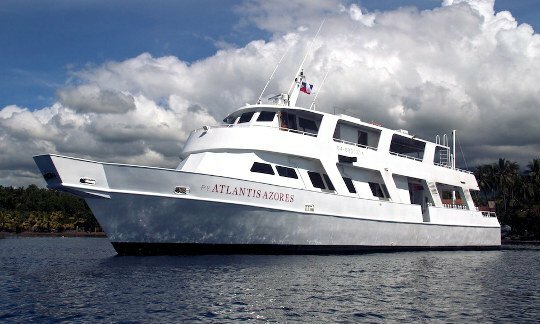 As the time of your visit approaches please get in touch, and even if a liveaboard is not in your plans, I can give you some good advice about where to stay and other details.